The kākāpō is the only flightless parrot, and one of the rarest birds in the entire world. Only 148 of them remain, all on tiny islands off the coast of New Zealand. 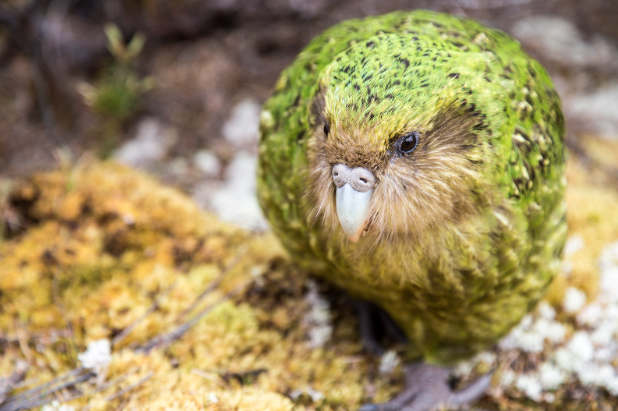 Here on these remote windswept sanctuaries, a dedicated team of rangers and researchers works around the clock to keep the world's last kākāpō safe from predators and help restore the species to its ancestral home. These pristine preserves have always been off-limits to visitors, but starting today we're giving everyone a ticket inside. Now with Google Maps Street View and Google Earth, you can virtually step into the home of the kākāpō and explore prehistoric New Zealand just as it was millions of years before the first boat ever landed on its shores. Immerse yourself even further with a special video from David Attenborough and the New Zealand Department of Conservation. 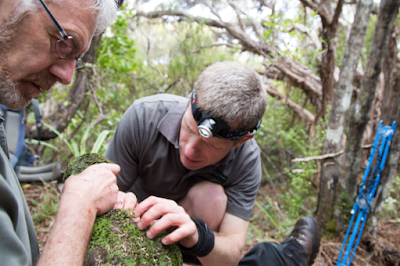 The kākāpō recovery team monitors each bird in the field and conducts regular health checks and other scientific analysis. Until land mammals were introduced by human settlers, New Zealand had none at all. In their absence, a variety of birds evolved over millions of years to fill the ecological niches that their mammalian counterparts would usually occupy. Kākāpō took on a similar role to rabbits and other burrowing mammals — they are nocturnal, herbivorous, well-camouflaged, and have a keen sense of smell. Most critically, they lost their ability to fly and instead took on other adaptations that allowed them to become one of the most common birds in New Zealand up until several hundred years ago. The arrival of new predators (like rats and stoats) devastated the kākāpō and their populations fell dramatically. In 1894, the naturalist Richard Henry pioneered the approach of relocating kākāpō to predator-free offshore islands, but his efforts were stymied by the expansion of invasive predators to these islands as well. Numerous other relocation and conservation attempts followed for the next century, but kākāpō numbers continued to fall. By 1995, only 51 kākāpō survived, all on offshore islands. In 1996, a new kākāpō recovery plan was put into action, and since then the population has recovered to more than 150 birds. Today's conservation strategy includes supplemental feeding and nest monitoring during breeding season, as well as the tracking and monitoring of every living kākāpō. Ongoing scientific research also helps ensure the continued success of the recovery effort. For example, the kākāpō recently became the first species to have a complete genome sequencing done for every single living individual — this will be critical to maintaining genetic diversity with such a severely constrained population. The rugged conditions on the kākāpō islands made this one of the most challenging Street View projects ever conducted in New Zealand. Although we don't have a time machine to take you back to prehistoric New Zealand, these carefully-maintained island sanctuaries are the next best thing. 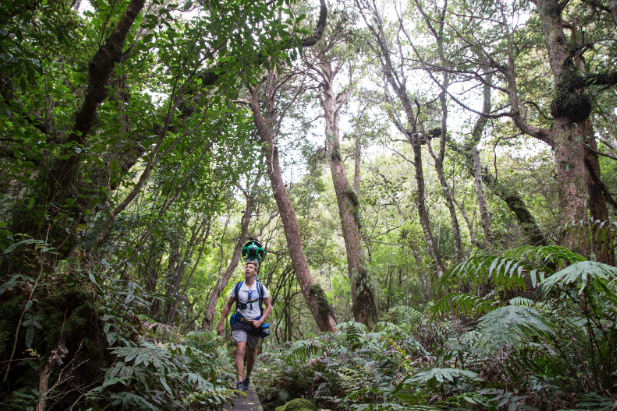 To give you a tour, we airlifted the Street View Trekker to two of these islands — Whenua Hou and Anchor Island — and explored the forests where kākāpō still thrive. Now you can explore both of these preserves in Street View and get a different kind of bird's eye view. It's currently conservation week in New Zealand, and around the entire world it's the Year of the Bird. We can't imagine a better time to share this story with you! And if you fall in love with these plucky little parrots, remember that you don't need to be a ranger on a windswept southern isle to help out - there are plenty of ways that you can help save native birds in every corner of the globe. 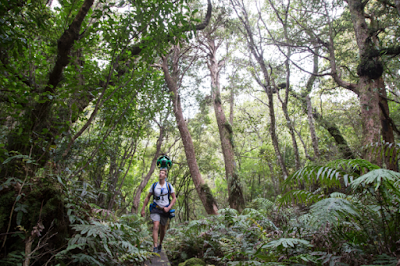 So wherever you are, spread your wings and join us in Google Earth and Street View to explore the ancient forests of the kākāpō.